Age shouldn’t make any difference in pop. Irrespective of if you’re making it or listening to it – after all we’ve all got ears, senses, feelings and emotions – the stuff that enables us to connect with music. Yet when you become aware of a singer-songwriter who is just 15 years old it’s difficult not to experience some sort of prejudice, simply because how on earth at that age can someone have learnt all the skills to make great music? Of course that prejudice assumes that pop is something that is learnt not innate. 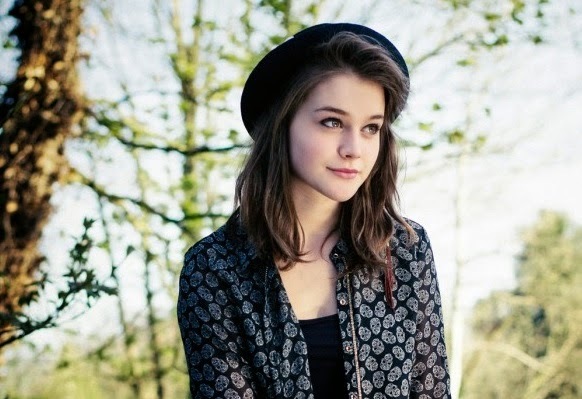 Which is where Cambridgeshire’s Grace Sarah (full name Grace Sarah Shelley) comes in to the fold, for either Grace has learnt quickly or has an instinctive and natural ability, best displayed by her latest song Generics. Introduced to us by our big bad blog-bro Andy from The Von Pip Musical Express earlier today, Generics is sickeningly good, carrying a massive pop sensibility, cute-could-kill vocals and beats designed to carry you to a higher place. Think first album Ellie Goulding with a 90’s dance floor touch and you wouldn’t be far off. “We are generic little children, with generic little lives, just trying to figure out if there's a greener side,” she sings – words that could easily be an anthem for anyone living in our increasingly homogenised and bland society. Grace Sarah is no one trick pony or Goulding copyist though. Elsewhere on her Soundcloud you’ll find a number of graceful piano ballads – Sunrise in particular is lovely and near spellbinding and many of the other songs possess the bare bones of something pretty special. This new kid on the block has made a mark on us, forget the age and set your mind free with Generics.